Megatherium. So all about their bodies, being so huge. protest the onslaught. They get defensive, but it’s okay. After the fact lounge in long grass, rip into cacti. They would eat anything: spicy, saucy, prickly. to get them with paw swipes and mad jaws. from the inside. Shasta, still a soda, less popular. 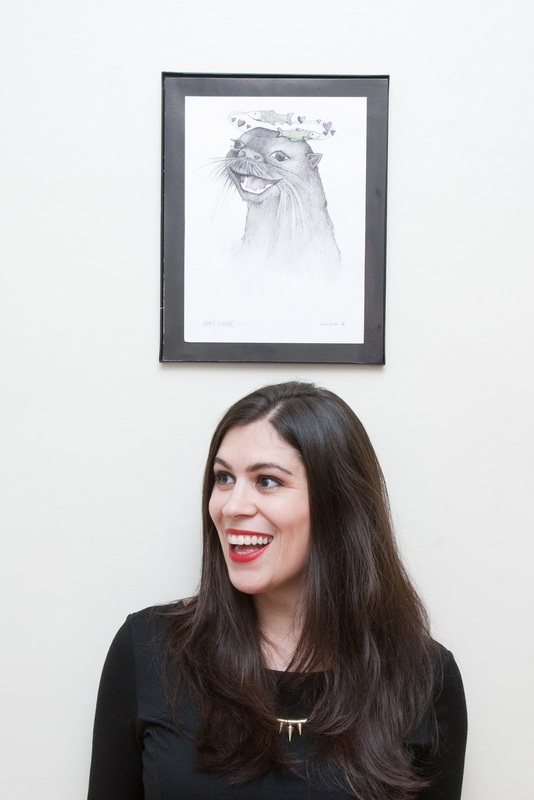 Dina Del Bucchia is the author of Coping with Emotions and Otters (Talonbooks, 2013), Blind Items (Insomniac Press, 2014), and Rom Com (Talonbooks, 2015), written with her Can't Lit podcast co-host Daniel Zomparelli. Her short story, "Under the 'I'," was a finalist for the Writers' Trust RBC Bronwen Wallace Award in 2012. She guest edited the Humour Issue of Poetry Is Dead magazine and is the Artistic Director of the Real Vancouver Writers' Series. An otter and dress enthusiast, Dina lives in Vancouver.